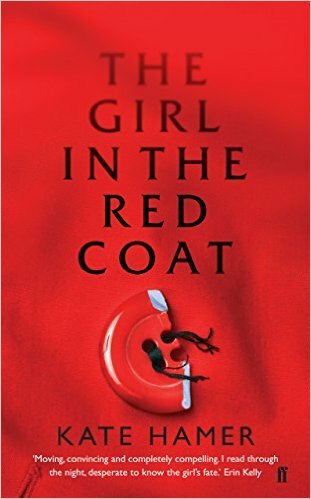 The Girl in the Red Coat begins with the narrator, a mother, describing her missing child. Though all children are special to their own parents, it's quickly evident that there is something universally loved about Carmel, an 'Old Soul', as her dad describes her. To her teachers it comes across as odd. She zones out and retreats into her own mind, losing minutes at a time in a daze. Sensitive but carefree, her mother describes her frizzy dandelion of hair, she's a natural, rural sort of child, artfully dishevelled and incurably inquisitive. We understand from page one that she is missing, as the narrator describes the torture of loss, the recurring dreams and the agony of not knowing. The narrative jumps then to Carmel, several months earlier as she and her mum, Beth, go to visit a maze for Carmel's 8th birthday. A dreamy, rural princess kind of a girl, Carmel falls asleep amongst the roots of a tree in the Maze's interior, causing her mother agonising pain and terror. It foreshadows the next event- we know Carmel has previous for wandering off. Does that make her badly behaved or just curious and independent? A few months later the pair visit a Storytelling festival in Lincolnshire- a nice day out that Beth has resolved to treat themselves to following the stress and tension of her divorce. Here the fairytale imagery that runs throughout the novel really emerges; fairies and dragons from the storybook pages mingle with the locked towers and golden keys that Beth wishes she had used to protect Carmel from her snatcher. At this festival, she becomes separated from her mother in the bookshop tent following an argument. Carmel is incredibly sensitive to moods and emotions, and it upsets her that her and her mother can't simply enjoy a day out without fighting and grumpiness. An elderly, friendly looking man finds Carmel in the fog and leads her away, telling her that her mother has had a terrible accident and that she is to come and be looked after by him, her Grandfather. Trusting him immediately, Carmel goes with him, wondering what it was that caused her mother and her Grandfather to fall out all those years ago. The rest of the novel follows the lives of Carmel and Beth, as each of them adjusts to their new lives. Though a crime has been committed, it isn't really a crime novel. There is a police investigation, but that goes on unseen. The police officers make the briefest of appearances. Beth is frantic to begin with, spending all day every day out searching. She begins to rebuild her life; fist shopping trip, first time out alone, first time past Carmel's school. New friends, new career. She never gives up on her daughter, and her life becomes an exercise in distraction and focus, daring herself to get through another day. Carmel, meanwhile is traversing the length and breadth of the USA with her Pastor Grandfather, his wife Dorothy and their twin girls. Living out of the back of a camper van, Carmel struggles with her new identity and the loss of her mother, the rejection by her father. I think the novel's greatest achievement is the way the characters develop dramatically over the period of Carmel's disappearance. Carmel's narrative voice changes ever so gradually, but looking back on earlier chapters the reader sees how she has matured. Initially a chattering, trustworthy and sweet girl, awestruck by nature and coincidences and funny words, to a moderately surly and put upon teenager, dragged from place to place and going through the motions. Her wonder is gone, but there's a spark of troublesome defiance that is quite brilliant. Her lack of confidence stops her from voicing her doubts or opinions, as does a lack of practice, but she remains as much of Carmel as she can manage in her head and in her heart despite all attempts to change her. Despite the grief and the agony of her loss, Beth too undergoes a maturity process. She forms meaningful and lasting friendships with unlikely people in her life, she changes her career, rids her life of its clutter and toxins. She matures and learns to accept the things that she can't change, lets go of what holds her back. I thought the author explored themes of identity really well, as well as the ever present grief and loss. Carmel is given a new identity, one that she discovers might not be as made up as it seems. 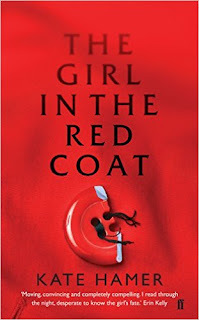 She hangs on to the parts of her that she knows belong to her; the name, the red coat. She recites mantras to herself so as not to forget. Beth has no idea who to be when she loses her daughter. After all, what is a mother with no children? What does she become? Her battle against despair to forge her own identity is fascinating to read and really well crafted. Her ex husband, Paul also emerges as a more three dimensional character in the post-Carmel period with the reader undertaking a full reassessment of him that's quite extraordinary. It's odd how losing their daughter makes their relationship so much stronger and less toxic than it had been before. It's a really tense and gripping novel that looks at religious fanaticism and the idea of faith, about the people that we choose to be or are shaped into and about the unimaginable agony of losing a family member. Not to death, but just to the uncertainty of not knowing. We are, as a society, quick to give up hope when people disappear, assuming that if a person ever does turn up, it's likely that they will have been killed by their abductors. This story presents a new side to missing persons, one that while it is not without its sinister tones, is certainly not murderous in its motives.